Pick up from Heraklion Airport/Port or Agios Nikolaos or your hotel in Elounda. Eagle Car Rentals in Elounda Gulf area and Heraklion Airport, has been a trustworthy car hire company in Crete rentals for over 20 years. Why Trust Eagle Car Rentals? For Elounda rent a car services, Eagle Car Rentals in Elounda Gulf area and Heraklion Airport, has been a trustworthy car hire company in Crete rentals for over 20 years.Aghios Nikolaos, Lasithi and generally Crete is connected with Eagle rent a car.During this time we have built a reputation not only for fair prices and quality cars, but most importantly, premium levels of customers service.If you have used our service before, you know exactly who we are and the quality we offer. We will be glad to provide our best offers and services for an ideal holiday in Lasithi and all over Crete.Eagle car rental offers Heraklion Airport free delivery-collection for all customers. Rent a car and go a trip all the Crete with unlimited Mileage and 24 hours a day road assistance.You can find our main office in the central of Elounda 300 metres from the square, direction Ag. Nikolaos. The second office is on the side street passing in front of the luxury hotels like Elounda Beach, Elounda Bay, Elounda Mare, Elounda Palm Ilion, Porto Elounda Mare, Aquila, Aquasol and Elounda Gulf Villas. 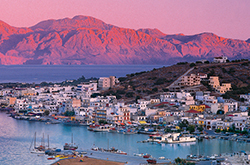 Thanks and enjoy your stay in Elounda,Agios nikolaos, Lasithi or anywhere else on Crete. Elounda rent a car is always there for you! Eagle car rental,Yiannis and Christos Poulis.